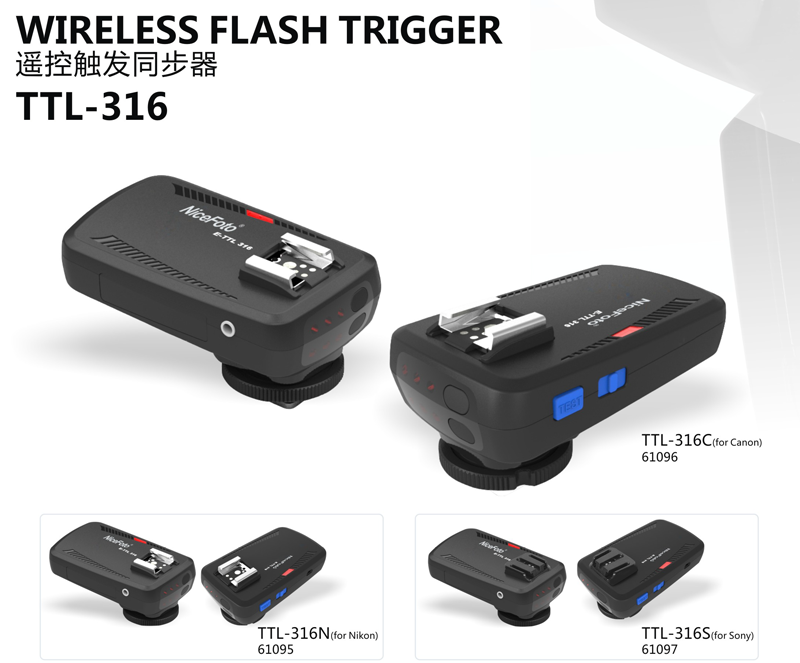 Nicefoto TTL-316 and TTL-318 – yet another wireless TTL trigger? Two new models of wireless TTL triggers have appeared, one featuring an LCD screen and tilting design. 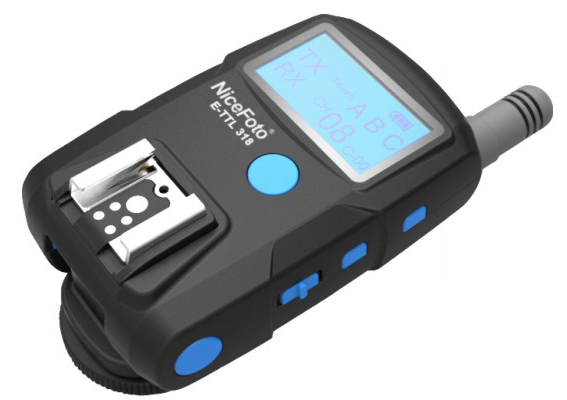 In the latest NiceFoto catalog, two new models of wireless TTL triggers have appeared. One basic model, the TTL-316, similar to the Pixel King, and a more advanced one, the TTL-318, with a control screen similar to the Phottix Odin (or Pixel King Pro). 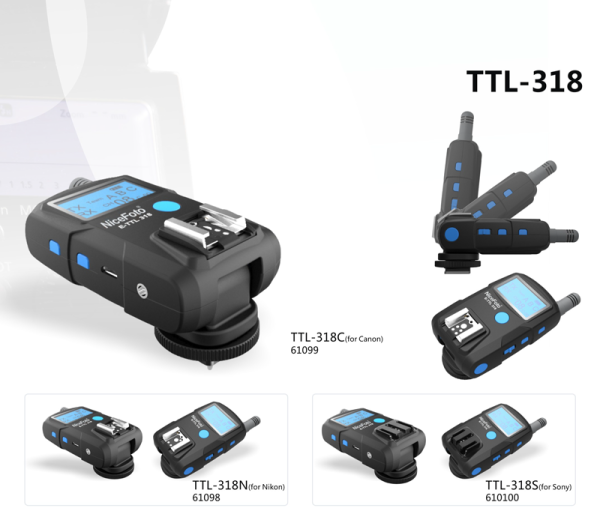 The NiceFoto TTL-316 and TTL-318 offer the usual range of specs, such as TTL, manual and multi modes. TTL pass-through and high speed sync is included as well. From the two devices, the TTL-318 model is the most interesting, offering a LCD screen from where the three different flash groups can be adjusted. The TTL-318 offers some unique features, such as a rotation of the device to make the screen easier to read, but what is especially pleasing to see is a battery level indicator on the screen. Not sure if this will be included in the final design, as it is currently too early to assume features solely based on the pre-production renders. Update: NiceFoto has told us that the TTL-318’s design and features are being revised, so the final product will be rather different from what is shown here. This doesn’t affect the TTL-316. From the brochure it all looks fine, but the question remains when they will be available and for what price. These days the competition is tough, especially since the YN-622 is here now as well. Maybe good to know; there is some love for Sony users. There will be a Sony version as well. For more information, visit the NiceFoto web site.